Judge Marjory Fields is a Lawyer in Private Practice, Counsel to Beldock Levine & Hoffman LLP, and a Consultant to NGOs and Governments on domestic violence and violence against women. Throughout her career she has been an advocate for the rights of victims of domestic violence and has led efforts to reform laws to protect victims rights. She has published articles and lectured extensively around the world on the topic of domestic violence, human rights of women, family law, and jurisprudence. 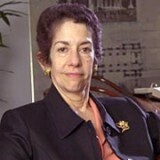 She received her law degree from New York University School of Law in 1970. United States Commission on Civil Rights, Consultant, 1978.